Vancouver-based game developer Roadhouse Interactive Limited has announced its new publishing services division, which will work to partner with other developers from around the world to manage live game operations. This new publishing services division will be led by the team from Roadhouse Interactive’s newly acquired Chunky Pig, a digital marketing company. “Chunky Pig has brought its marketing expertise to multiple console, mobile and free-to-play games. Bringing together our combined experience in developing and publishing was the natural next step in growing our business. With this newly launched business unit, Roadhouse Interactive can now offer a complete suite from publishing services to game development,” said James Hursthouse, CEO of Roadhouse Interactive. Roadhouse Interactive is responsible for multiple mobile hits, including FRS Ski Cross, which launched in January. The publishing services division will give developers access to multiple post-launch tools, while they retain control of their own IP. This includes marketing tools for user acquisition, monetization, A/B testing and more, as well as tools for social media and community management. Roadhouse Interactive also provides access to an analytics platform, as it works to reduce overhead costs for developers. Clients such as D3 Publisher, Boomlagoon and Bloobuzz have already joined onto the platform. 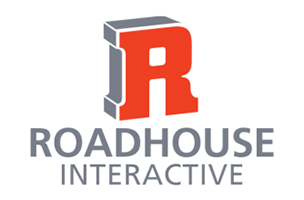 Developers interested in partnering with Roadhouse Interactive are encouraged to visit the company’s website.